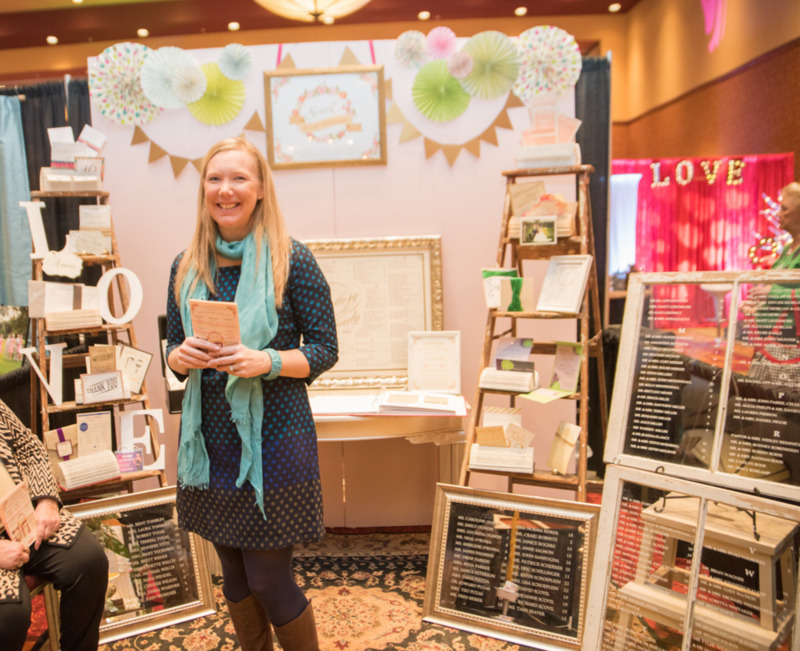 As I'm busy setting up for the 2016 Bridal Bash, I realized I never shared these photos from the 2015 January Bridal Bash! If you are planning to attend this weekend's show, here's a tiny bit of what you will see - follow Behind Every Bride on Facebook for the most recent updates and announcements! Also not shown is the ever-popular vintage market, hosted by a variety of local vintage resellers. Something Old inventory was front and center at the ballroom entrance and registration desk! Our booth had a garden feel to it and showcased the adorable yellow tandem bicycle! We provided inventory for the Heart Strings quartet booth - including a fun frame/violin wall arrangement! Kara Kamienski Photography used our reclaimed metal backdrop panels in her booth - and she did a great job styling them with her amazing photos and fun accessories! And before you think we were the only vendor at the show - check out some of these industry professionals and their amazing booths! I am looking forward to seeing what they come up with next! Special thanks to Sydney / Kara Kamienski Photography for the photos, Sara / Sara E. Designs for marketing assistance, Abby / Abigail Lauren Design for handlettering services, and Shanon / Bittersweet Floral for amazing flowers!